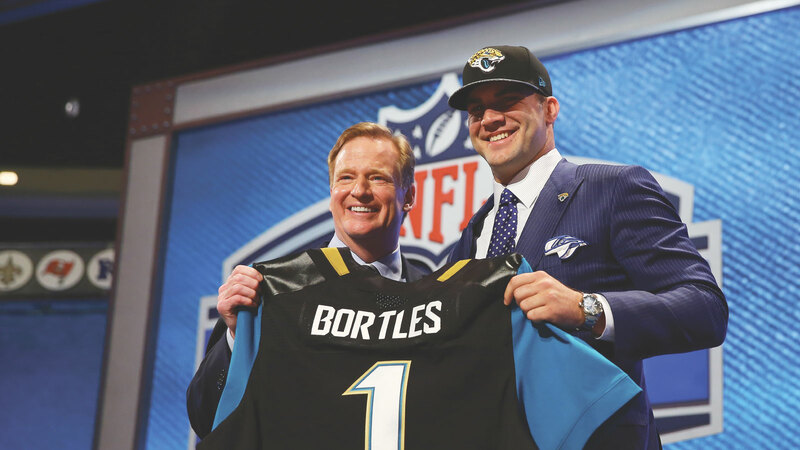 On May 8 at Radio City Music Hall in New York, Blake Bortles became the first quarterback selected in the 2014 NFL Draft, ahead of his more heavily favored competitors Johnny “Football” Manziel of Texas A&M University and Teddy Bridgewater of the University of Louisville. Chosen by the Jacksonville Jaguars in the first round at No. 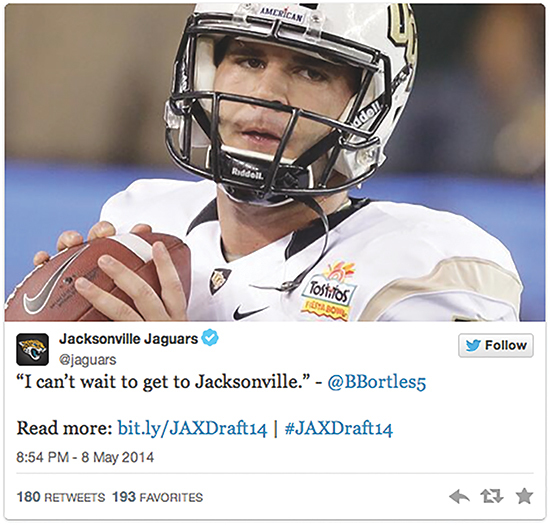 3, Bortles was eventually joined by running back Storm Johnson, who was picked up by the same team in the seventh round at No. 222. It’s a dream come true to hear your name called and walk across the stage and fly to Jacksonville to meet with everybody. It’s unbelievable. Did you know? In 1987, Ted Wilson became the first UCF athlete chosen in an NFL draft.